If you thought our Inflatable Minion range couldn't get any cuter, you were wrong! 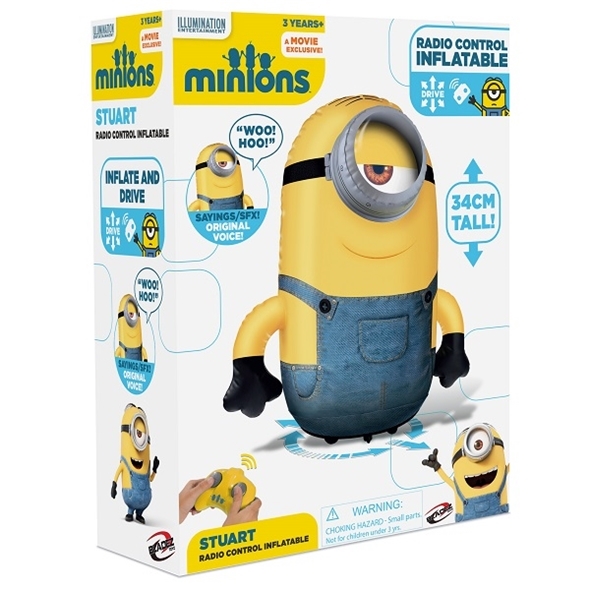 We would like to introduce you to the Mini RC Inflatable Stuart Minion Toy! It does the exact same thing a its larger counterpart, but it's smaller and aptly more adorable! 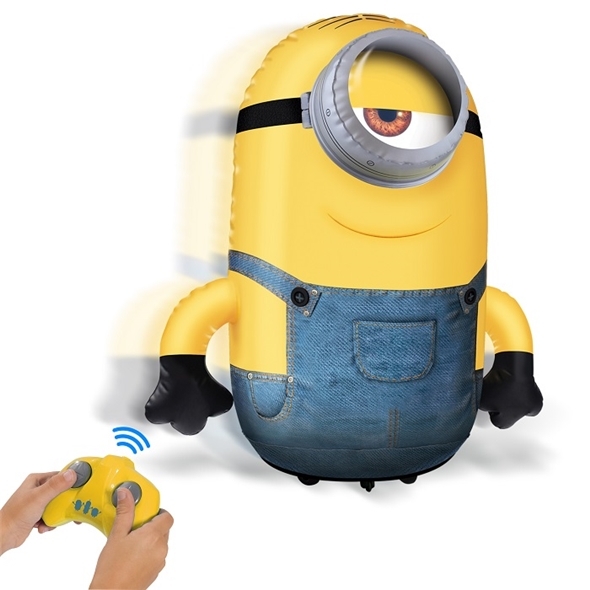 The Inflatable Mini Minion can move in any direction you like, spinning left and right at your command! It can also still talk in that mischievous, original minion voice, that neither children nor adults can resist! The size of the the inflatable may have been halved, but we can confidently say that the cuteness has doubled! 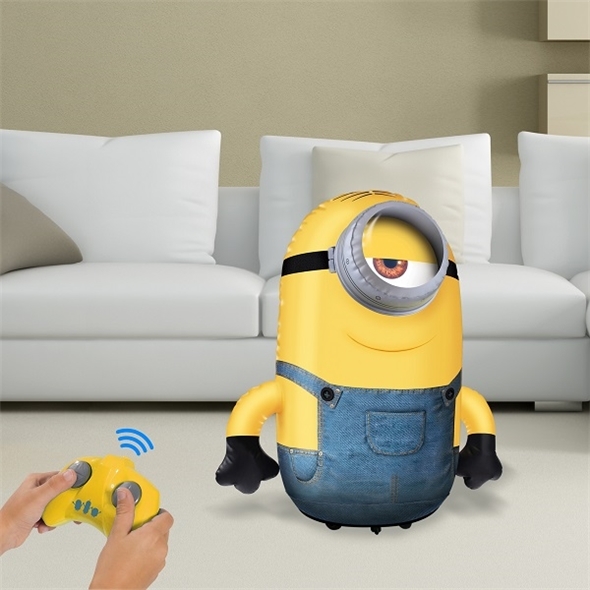 This RC Minion can still move in any direction, spinning 360 degrees and talking just like its larger counterpart, in a cuter, more compact package! 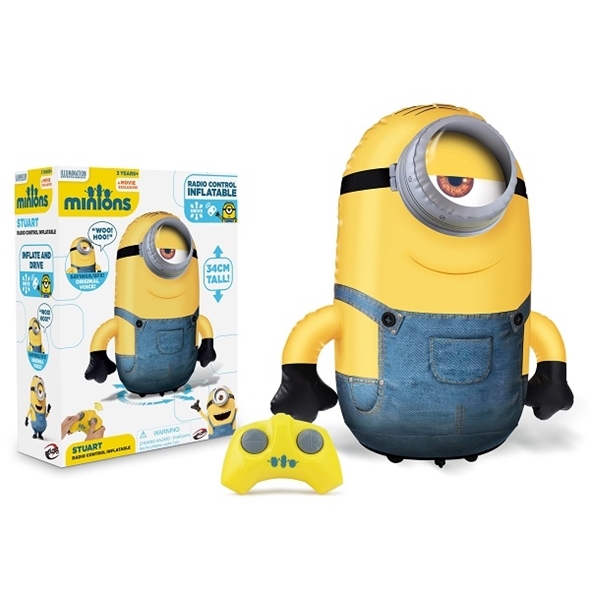 The NEW Mini Minion is definately the cutest toy that we've ever seen, and would make the perfect gift for fans young and old!